Tuna is one type of marine fish that has many health benefits. Unlike most fish that have white meat as a whole, tuna meat consists of white meat and 1/6 part of red meat. Because of the uniqueness of the meat, taste, and nutritional content of tuna, it is a commercial fish that has high economic value. 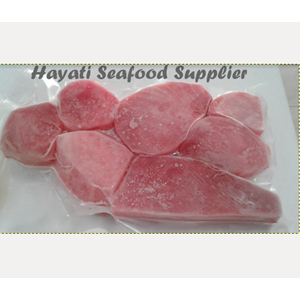 Fresh seafood this one has a high protein content, calcium is good for growth, and abundant good Omega 3 for heart health. Most tuna has a fairly large body, therefore fish include fish that have high economic value. 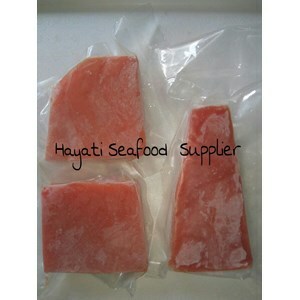 Tuna steak comes from tuna fish with a minimum size of 40 kg to ensure quality, and captured with a friendly environment. 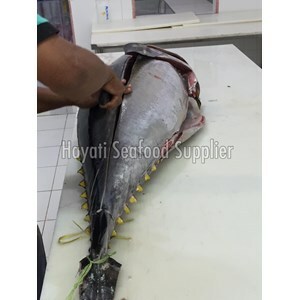 Formerly tuna exists only in the form of cans, but nowadays many dishes such as tuna steak frozen seafood supplier available in jakarta. The protein content of tuna is good for the formation of muscle cells and keeping it strong. The content of omega 3 in tuna can increase the concentration of HDL or good cholesterol in the body, suppress the occurrence of blood clots, and keep the rhythm of the heartbeat. Tuna fish can be served with many different preparations, ranging from steamed, roasted, fried, boiled made steak. Frozen food itself does not use any preservatives, this method locks the nutrients in it, just have to go in the refrigerator or freezer to remain durable but still healthy. Tuna is a fish that became a commodity favorite fresh seafood from marine fisheries, with a huge body and weight, tuna can be sold as a food fish with a fairly expensive. international market sales of fresh tuna with super quality will get a heavy price, especially for the Japanese market share predominantly sea like fish. Fresh tuna fillet can be prepared as sashimi of Japanese food that is uncooked, just dipped in a sauce. With this type of tuna was fresh, the taste of food is more delicious. Pocket tuna has a delicious taste of meat and delicious. This fish is also a very good source of protein and has a low fat content. In addition, pocket tuna is also very easy to cook, for example with processed into a steak or meat salad companion. Tuna is a type of fish that has high omega-3 fatty acids. The content of omega-3 fatty acids contained in tuna meat is clearly useful for the health of the human body. For example, to reduce triglyceride levels, control bad cholesterol in the blood, and reduce the risk of heart disease.